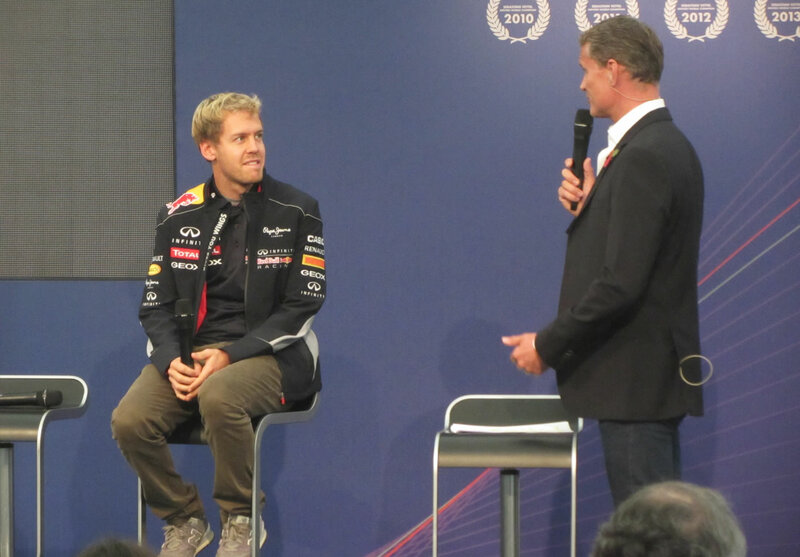 Red Bull held a Media Day for Sebastian Vettel to meet the rest of the team. 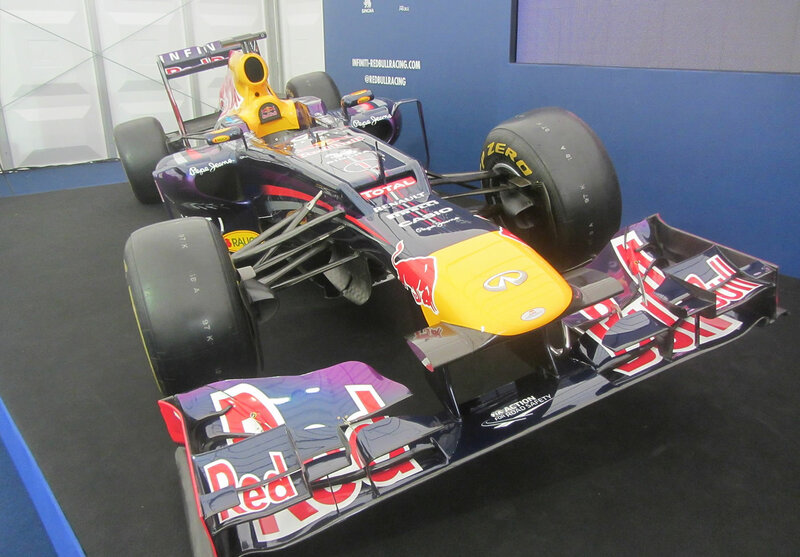 Interviews were conducted by legend David Coulthard and several cars were displayed for a close up viewing. A 15m x 25m structure with hard ABS walls provided an area that was insulated and had suitable acoustics. 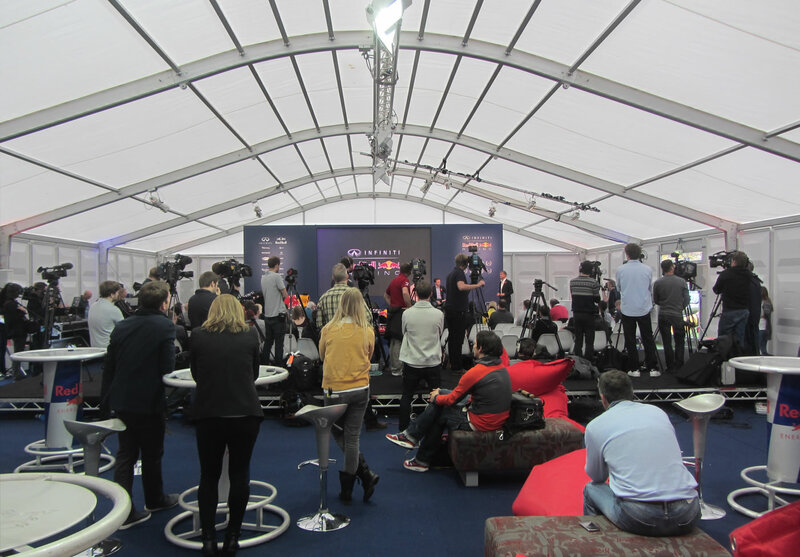 Quality lighting was used to optimise the environment for the camera crews. Using Cassette flooring meant the floor was level, particularly important as the structure was built on grass. A ramp was used at the entrance of the structure for easy access, it was covered to prevent it from becoming slippery in the testing weather conditions. 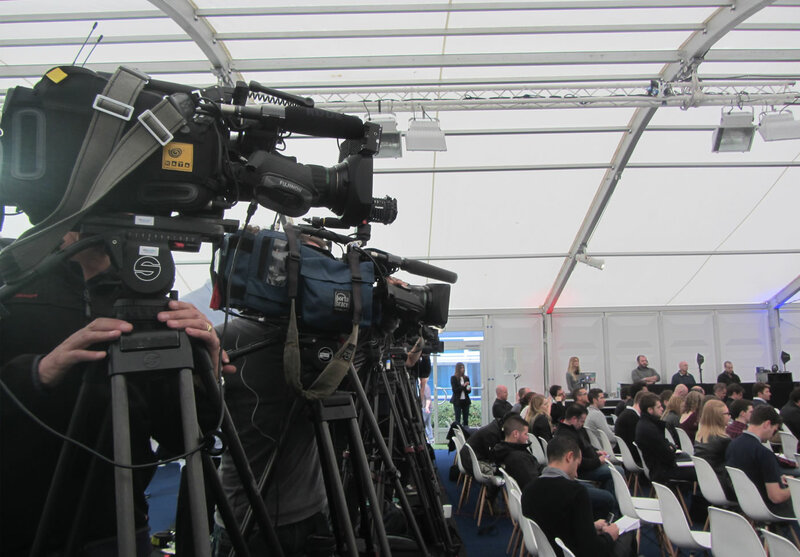 Space was required for Camera Crews and reporters as well as a seating area for an audience of guests. It was important that each seat had good visibility of the proceedings, building a stage area meant that Sebastien and David could be seen by everyone. The white chairs gave a modern, professional look. 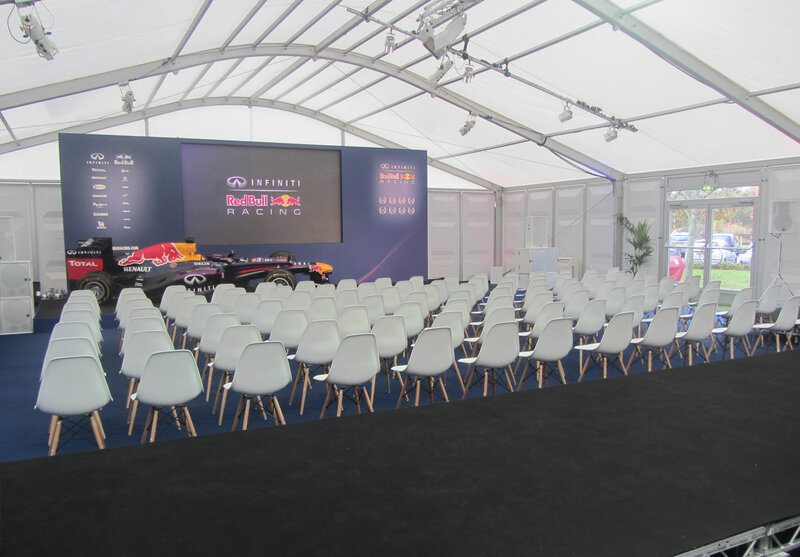 We ensured that the structure was spacious enough for the cars to be displayed with enough room for people to view them from all angles.